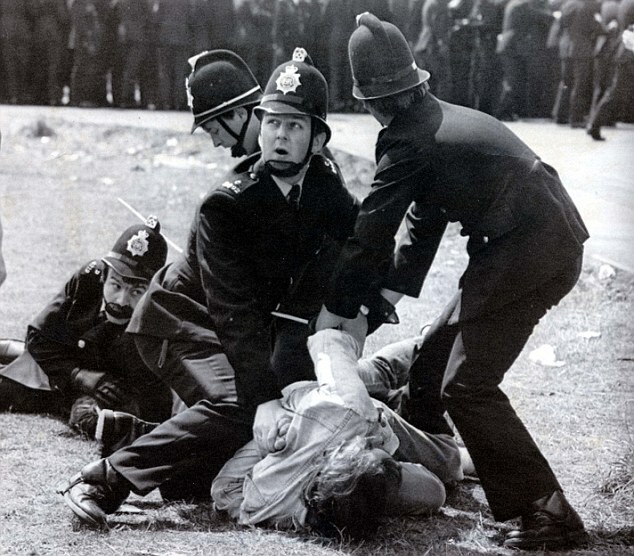 During picketing of the Orgreave Coking Plant in South Yorkshire, England, police attack striking miners, arresting nearly one hundred people and injuring dozens. Ninety-five miners were arrested and charged with riot, an offense that carried a potential life sentence. The subsequent trials collapsed due to lack of evidence.